JT can tailor his presentation to your specific audience. Contact us for his availability. We have several personalized training options available to fit your budget and schedule. Check out JT's most recent presentation! For over eight years, JT has helped reshape the thinking, pre-conceived ideas, and negative stereotypes that many men have about themselves. 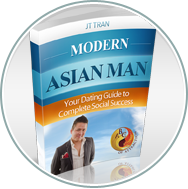 He has risen from complete anonymity to become the premier date and social coach to Asians and minorities alike. As an internationally recognized speaker, motivator, and mentor, JT travels the world in order to accomplish his mission to create equality for men in the dating realm. His teachings help individuals discover the courage within themselves to exceed not only in dating but, in career and family. 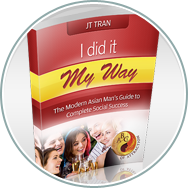 This ebook is jam-packed with JT's personal tips, tricks, and secrets! Perfect for guys at any skill level. How do you have a stellar first date? Learn how to wow a girl without breaking the bank. 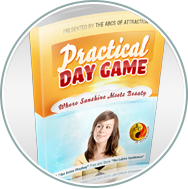 Learn the ABCs of Attraction structure for daytime approaches. Get a number or even go on an instant date! Everything you need to know about phone, text, and social networking game. Flirt from home and seal the first date. "I can really honestly say he's one of the best teachers out there, especially if you're an ethnic minority or Asian. I know firsthand there's can be a lot of limiting beliefs that go along with that and he's simply the best in the business." "They are an ethical company, they are committed to client satisfaction, and their methods do work." "He always get the best results for his students. He has a very good reputation and that's one of the reasons why we've teamed up." "He acts with integrity and he and teaches his students absolutely genuinely. He's there long term for his students." Sed condimentum, magna hendrerit porta venenatis, eros nunc facilisis ligula, eget varius nibh eros sed neque. Sed vitae arcu mauris, in dapibus ipsum. Sed neque leo, viverra eget malesuada nec, eleifend ut metus. Praesent scelerisque euismod commodo. Integer cursus volutpat aliquam.